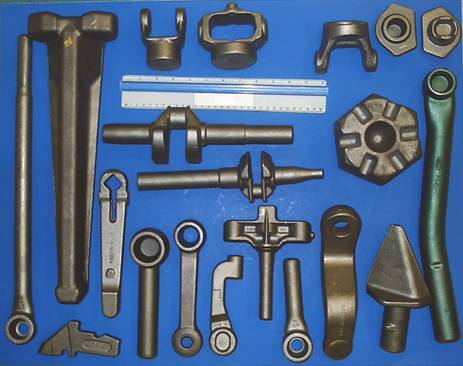 Missouri Forge, Inc. also offers other hundreds of forgings to fit your needs. Missouri Forge is very competitive in run quantities from 50 to 100,000 pieces. Annual quantities up to 2,000,000. Our minimum run quantity is 1 (one). Yes, it is expensive but we will make only one! Typically our run quantities are 1000 pieces to 50,000 pieces. These tend to be the most economical for most of our customers. Our products are very diverse by design. We are not dominated by any one industry or Company. For pricing info, please contact Missouri Forge Sale Manager - Mr. Mike Wicklund.